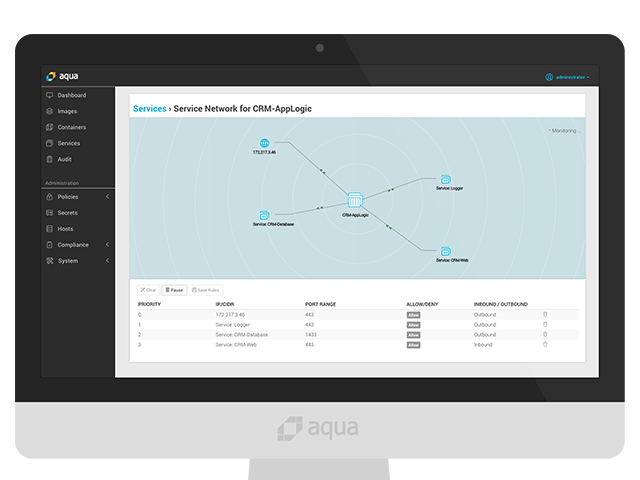 Get a Demo and See Aqua's Solution in Action! Aqua's Container Security Platform provides an end-to-end security solution for containerized environments. The platform can be deployed on all major public clouds or on-premises, and works with all major orchestrators. See for yourself why enterprises trust the Aqua's Container Security Platform when it comes to securing their containerized applications. Simply fill out the form and we will schedule a demo for you!